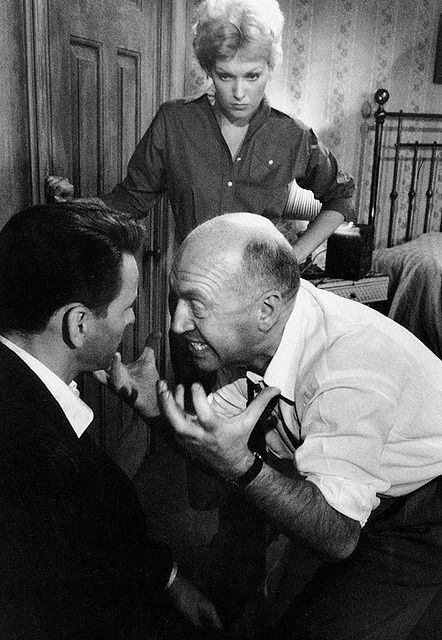 Jean Seberg, Françoise Sagan and Otto Preminger on the set of Bonjour Tristesse (1958). Photographed by Bob Willoughby. Check out this shot on set of Halloween; a personal favorite film of mine. Otto Preminger in 1976, by Allan Warren. Otto Preminger, 1955 by Bob Willoughby. Hope Bryce and Otto Preminger, shot by Diane Arbus.